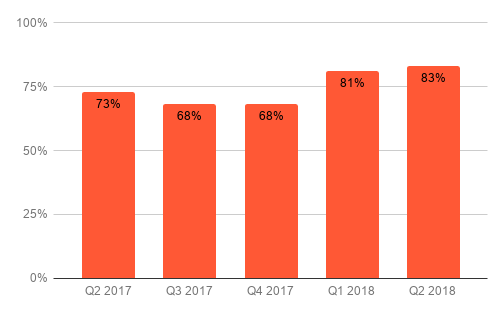 The average Video Completion Rate continued to rise in Q2, hitting a new high of 83%. This is good news for advertisers emphasizing viewer completion over click through rates. 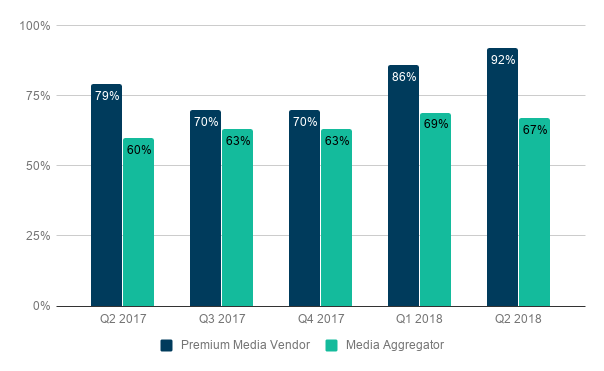 The Video Completion Rate for premium sites continued to increase significantly in Q2, hitting an all time high of 92%, while the rate for aggregators declined slightly. This is one of several metrics that show the continuing strength of premium sites and their ability to engage consumers in a reliable, brand-safe environment. 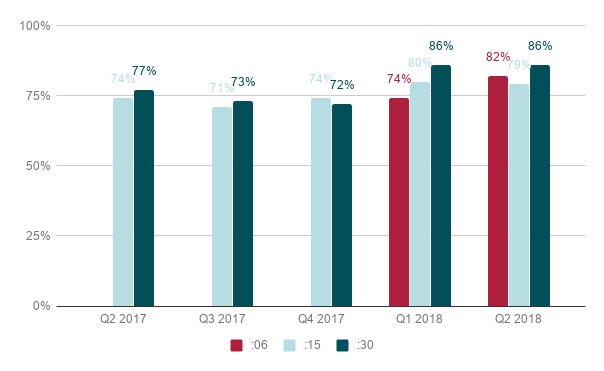 30-second ads remained steady from Q1 to Q2, while the rate for 15-second ads decreased very slightly quarter over quarter. 30-second ads have a higher completion rate than their 15-second sibling. VCR for 6-second spots saw an increase from 74% in Q1 to 82% in Q2. 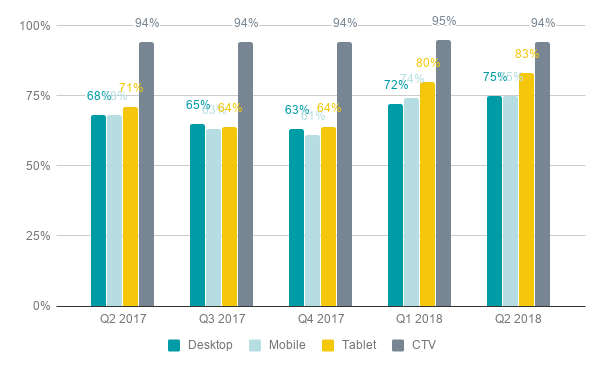 The Video Completion Rate for desktop, mobile (smart phones) and tablet, all increased in Q2 vs Q1. CTV saw a slight decline in VCR vs Q1, but they remain very high because viewers tend to be committed to the content and don’t have the option to skip the ads.